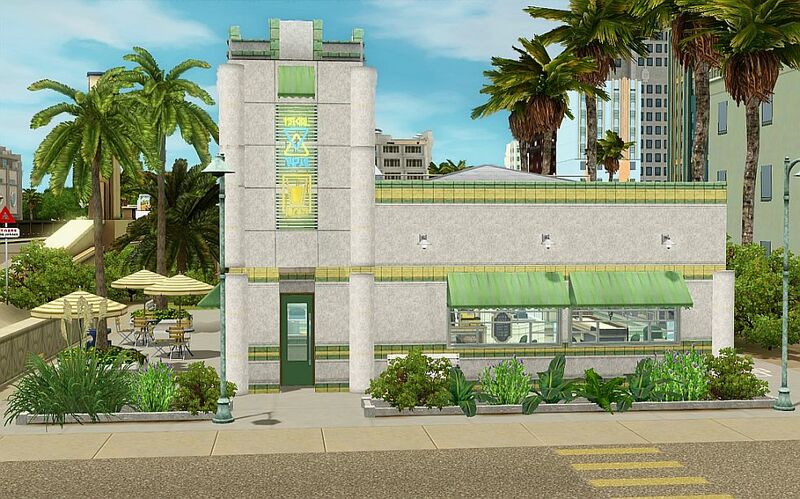 Although these two diners has been created with Roaring Heights in mind - or any other vintage style neighborhood-, only one of them, the Cherry Pan Diner needs Roaring Heights installed; the Reggie's Diner should entirely work without it. 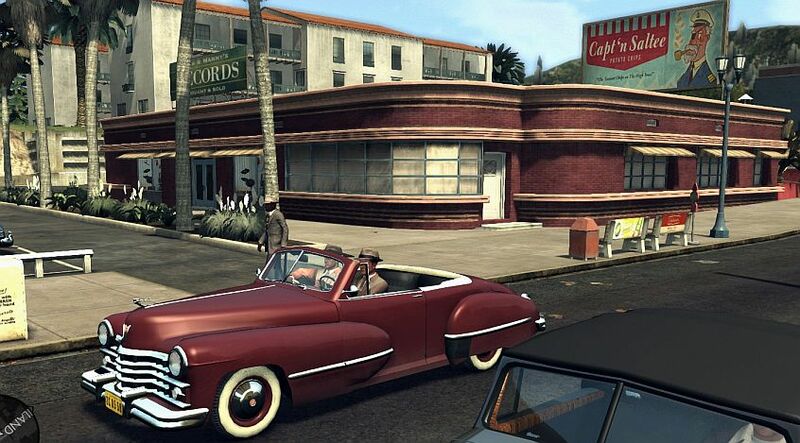 I have met both buildings in the game LA Noire, in an 1947 version of Los Angeles. 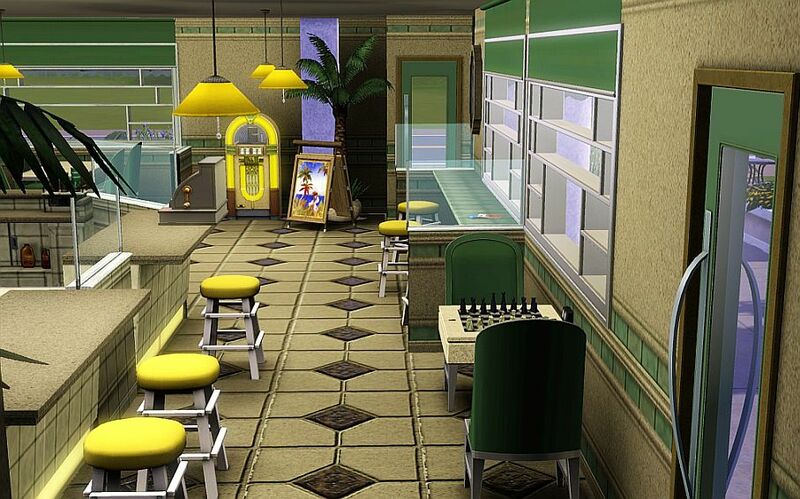 The exteriors are kind of recreations (more or less), but the interiors are put together by me, though heavily influenced by all the interior elements I have seen all over in-game. 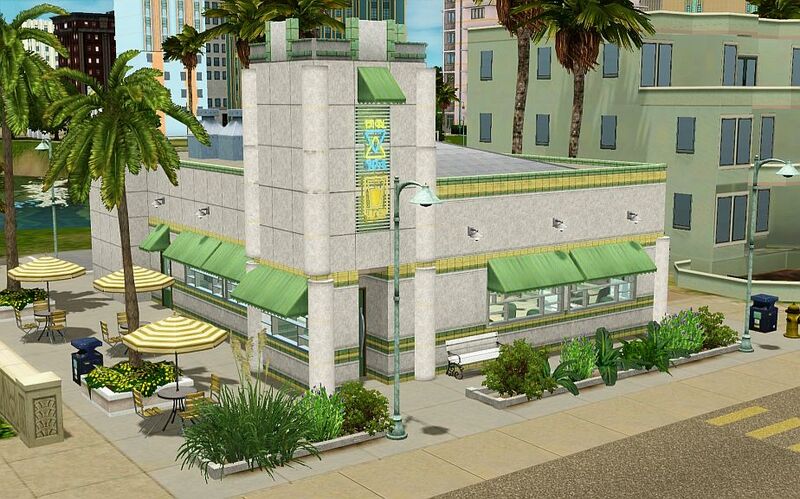 The name is a respectful reference to the Apple Pan Diner which is perhaps the oldest working diner in Los Angeles today, opened in 1947. 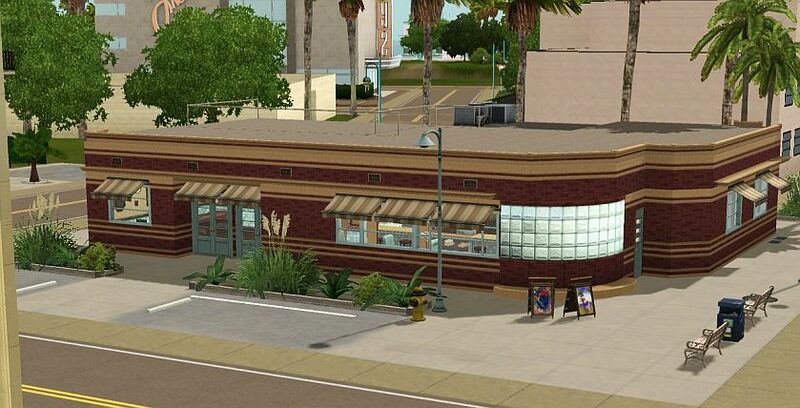 I admit that it doesn't sound very authentic if a diner has a showtime stage, but I needed a Showtime venue in my Roaring Heights (this city is full of wannabe starlets). So the diner has not only a coffee bar (University EP) with a jukebox, shuffleboard table and books, but a separate room with stage for beginner starlets (from level 3). 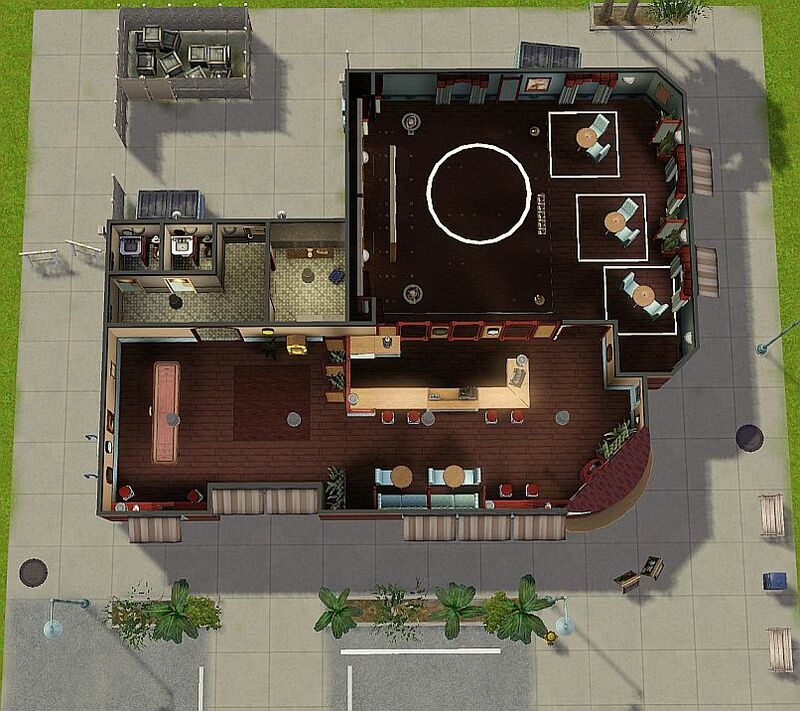 PLAYTEST: the venue will generate a Proprietor and a Barista. Opening hours: 6.00 AM - midnight. 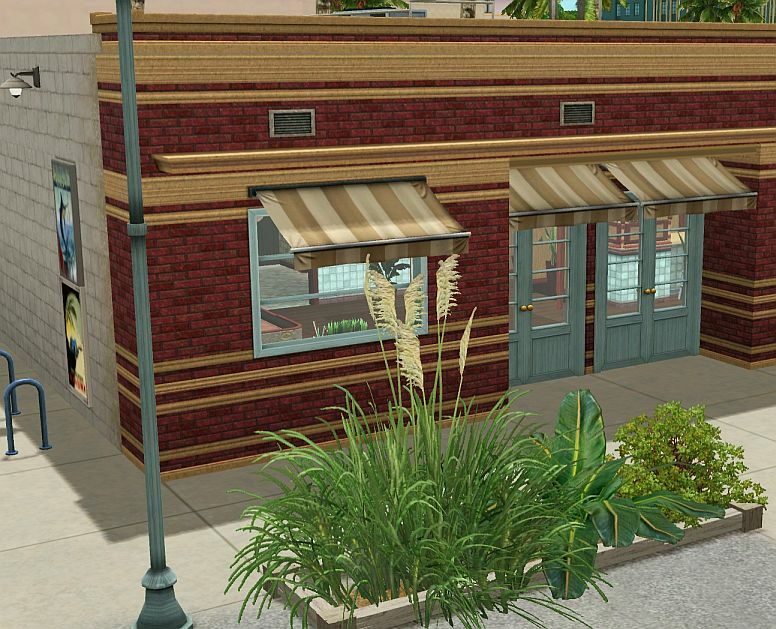 It can take more than two sim-weeks until the first SimFest announced, but an active performer sim can play a gig on the first or second day if the Proprietor agrees. 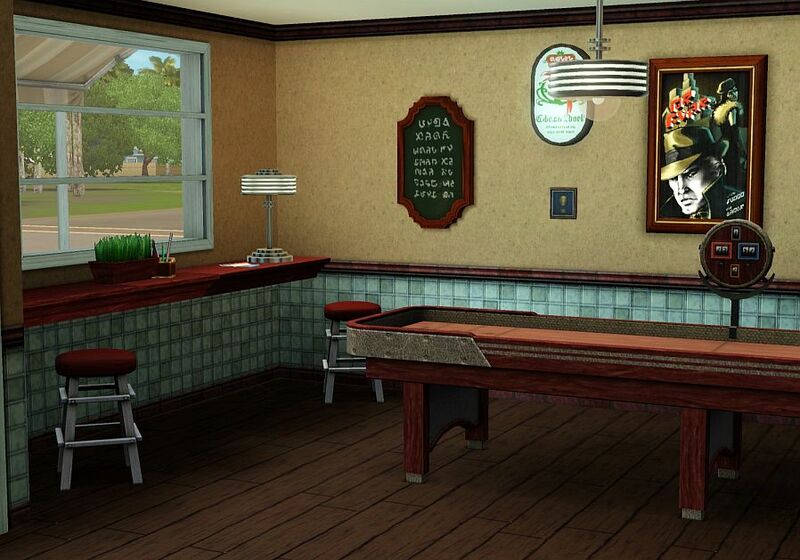 EA world Roaring Heights (standard) installed is a must for this download. 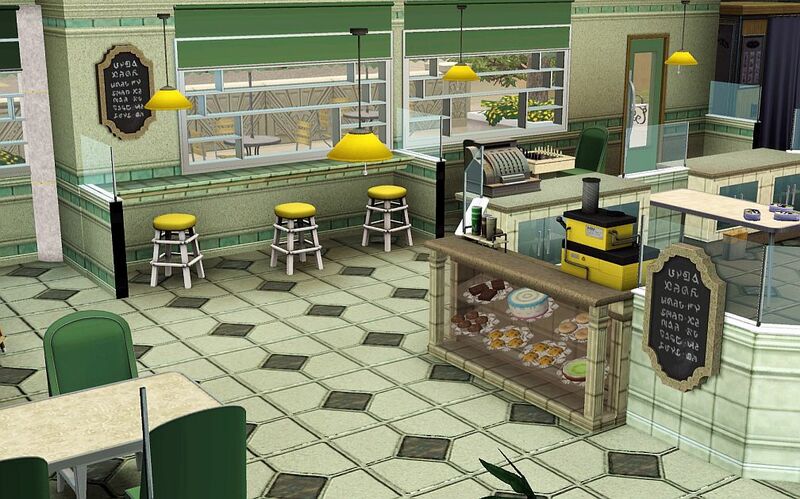 The Reggie's is a café chain in-game with an interior very similar to mine. 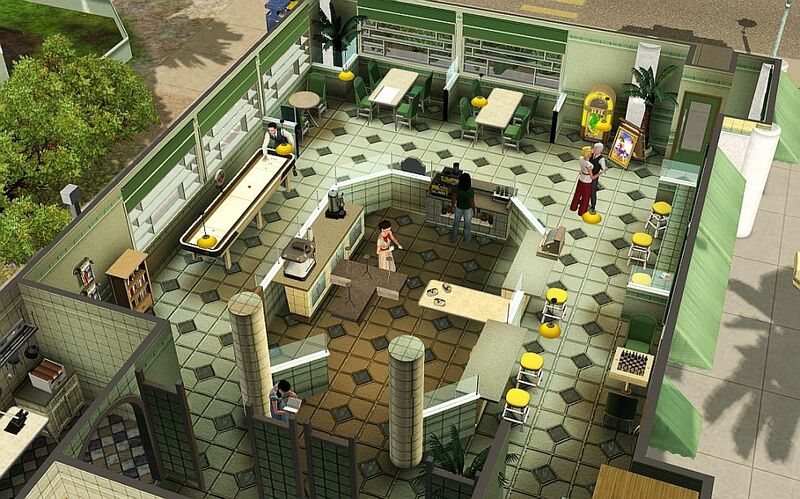 It looks like a predecessor of the fast food joints of our times. Jukebox/dance, shuffleboard table, chess table, books, hopscotch, photo booth, espresso machine and ice cream are offered. PLAYTEST: the lot generates a Barista and attracts much higher traffic than the Coffeehouse venue. Opening hours: 5.00 AM - 1.00 AM. 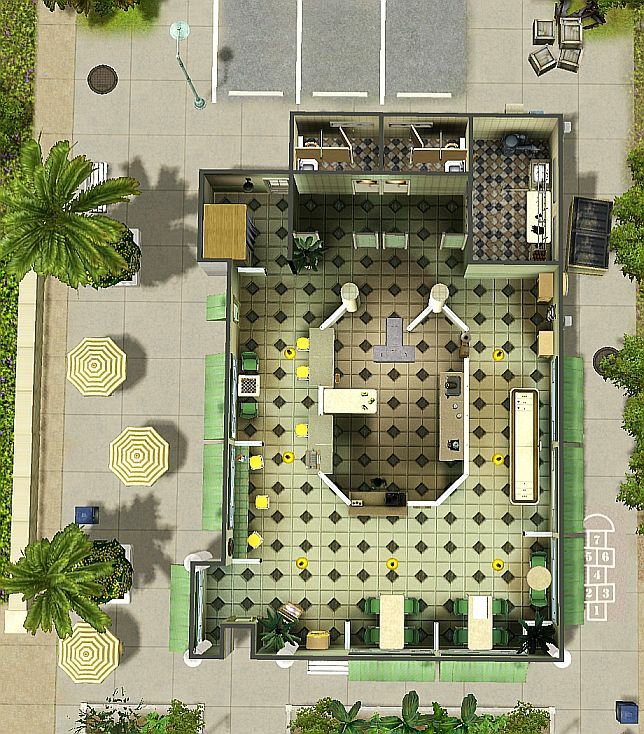 Although it's created for the beach-side promenade in Roaring Heights, I didn't use objects from that world on this lot, so it should work without RH. No CC, no Stuff Packs, no spawners on either lots. 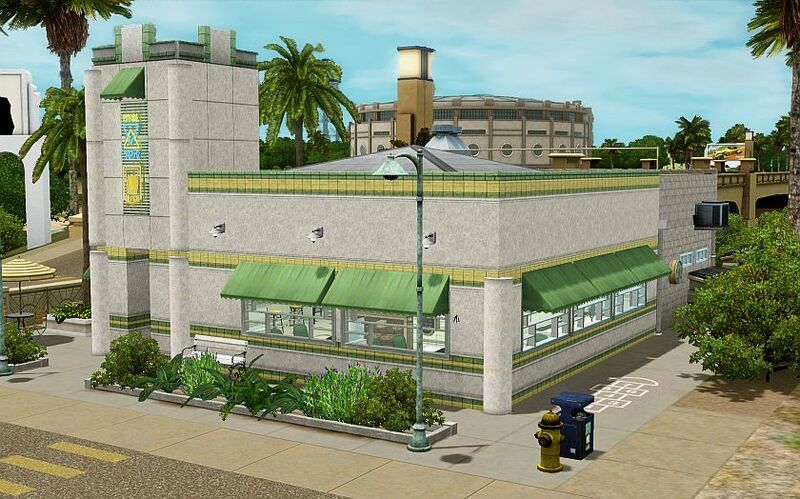 Both diners requires the following EPs: World Adventures, Late Night, Ambitions, Generations, Seasons, Showtime, University Life, Island Paradise. 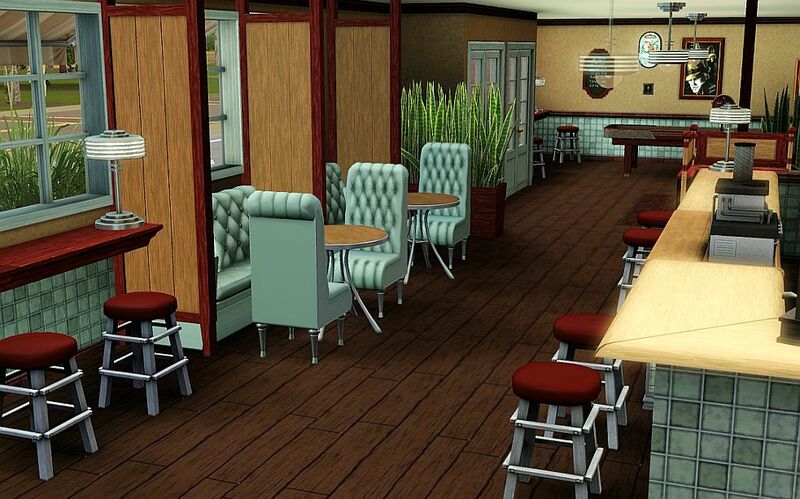 AND the Cherry Pan Diner needs Roaring Heights installed. 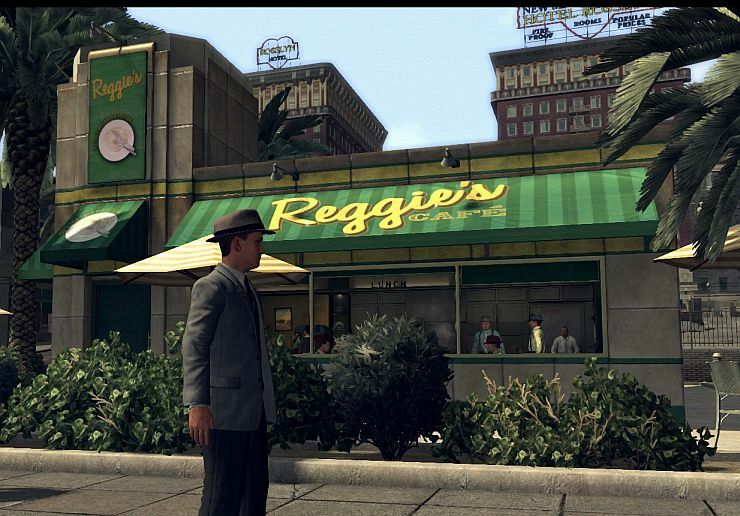 To Rockstar Games + Team Bondi for the wonderful art design of LA Noire. 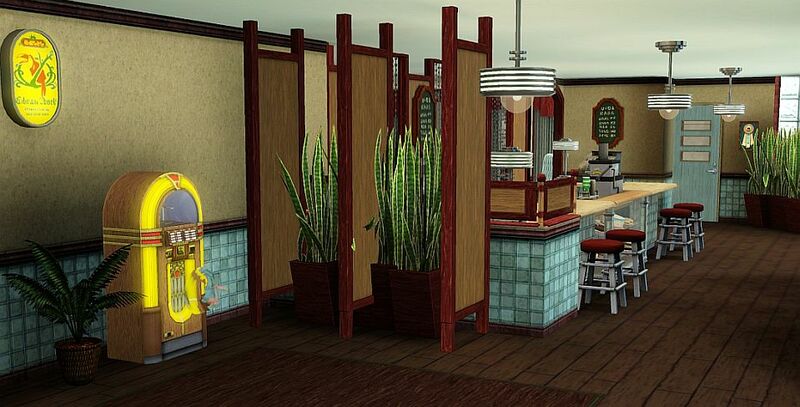 165 people have said thanks to Floraflora2 for this download.